The NES Classic and SNES Classic are back in stock - hurry before they're gone again! 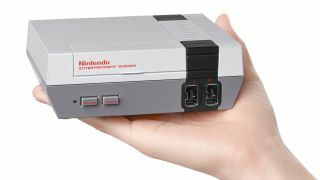 When Nintendo first introduced the NES Classic Edition - a miniaturized version of the NES home console, pre-loaded with 30 of the system's best games and compatible with modern televisions - it sold out almost immediately. The SNES Classic Edition likewise was tough to find in the weeks and months following its launch. If you missed out on those early days, don't fret - the NES Classic and SNES Classic are both in-stock and available now via Walmart. Of the two, the SNES Classic will be easier to get, as it's available for free shipping. The supply of NES Classic systems (at the time of writing) is already low enough that you'll have to find a nearby store and pick it up yourself. A bit of a hassle yes, but at least you'll have one set aside for you if you order online, meaning no need to fight the crowds, and no need to wait months on backordered units. Seriously, if you've been wanting one of these things, don't let opportunity pass you by again!